'X-Men: The Last Stand' may be a bad movie, but it touches on important ethical questions – AiPT! It’s actually good for something! AiPT! Science is going all-in for Uncanny X-Month, with the most detailed look at X-Men biology anywhere, EVER. Part of that is the bioethics of mutation, and after yesterday’s more fantastic take, philosopher Kevin T. Keith is here to offer a more real world look, in a surprising place. X-Men: The Last Stand brings the inherent tensions within a society that includes “mutants” to shattering prominence. The clear parallel between mutants who “come out” when their abilities and identity are revealed and are then rejected by their parents, and the experiences of LGBTQ youth who are faced with rejection when their sexual identities become known, is obvious and often discussed. But there are other such similarities, and X-Men 3 emphasizes them heavily. Because the entire basis of the “X-Men” premise is biological, themes of biology and genetics are central. I want to take a narrow look at how particular aspects of the X-Men world, and especially the conflicts in The Last Stand, replicate medical-ethical controversies in our own world, and how our social conflicts and mutant battles feed off each other. Given the genetic basis for mutant status, and the consternation it causes when it manifests itself, superhero mutations can be seen as a kind of birth defect. The conflicts between mutants and their parents parallel not just the situation faced by LGBTQ youth, but also that of deaf children and other genetic minorities, at even younger ages. Another parallel is the case of Down Syndrome, a genetic condition that causes a deficit, ranging from minor to profound, in an individual’s mental capacity and ability to find work or be self-supporting in life. Already, two-thirds of fetuses diagnosed with Down Syndrome in the United States are aborted, and Down Syndrome births have virtually disappeared in Iceland and the Netherlands. There are also studies indicating a significant willingness among hearing, and even some deaf parents, to abort fetuses diagnosed with congenital deafness. The strong opposition to mutants in the X-Men movies makes it likely there would be a move to eliminate, one way or another, the births of such children. As the case of Down Syndrome shows, it’s not impossible that a community bearing an obvious genetic mutation could be essentially wiped out prenatally. Since the X-Gene would surely be another such detectable mutation, it would not require an involuntary “cure” serum to wipe out the population, but simply a few generations of prenatal testing in a hostile social environment. Another obvious parallel from the movie, with a certain twist, is the clinics in which the “cure” is offered to mutants who want to change their nature. The clinic and its violent protestors are obvious analogs of abortion clinics, besieged to prevent patients acting on their own autonomous decisions. But they also hint at the “conversion therapy” camps run by homophobic religious extremists, intended to “pray the gay away” from LGBTQ teens, and more distantly at the genocidal concentration camps that Magneto recalls from the Nazi period. The movie’s politics are complicated: as with anti-gay “conversion therapy,” it’s intolerant conservatives who pressure their children into conformity. In contrast to abortion clinic protests, however, it’s assimilationist mutants (i.e. the “liberal” faction) who choose to take the cure, while the hostile extremist faction bomb the clinic in the name of diversity. What then is X-Men: The Last Stand trying to tell us? One frustration of this movie is that, while it clearly wants to promote tolerance, respect for personal identity and minority status, and the dangers of treating common human conditions as diseases, its inconsistencies make it hard to see a coherent voice for any point of view. A subtle but important theme of the film is that differences are good. We are clearly supposed to admire the X-Men. They work for unity and protect the weak, even the boy whose mutant power threatens to eliminate them all. When they are themselves threatened, we know who the good and the bad forces are. That makes us want to see them — and by extension all the minorities, the stand-outs, the different ones — survive. But getting this message requires eliding the difference between the X-Men (the “good mutants”) and Magneto’s angry, vengeful, and murderous mutants. The valorization of hero mutants does seem to counter the unspoken but unavoidable danger of genocide or prenatal elimination. If the youthful or adult X-Men are heroes, there is good reason not to seek the kind of prenatal diagnosis and abortion that has essentially eliminated the Down Syndrome population in Scandanavian countries. But there are hidden complexities to the issue that remain even further out of the light. (Should women be encouraged, or required, to bear fetuses with the X-Gene to term, even if they don’t want to?) The issue is fraught, and only hinted at in the film. Finally, what about the “cure”? By positing the anti-mutant cure as both a form of “conversion therapy” (an unambiguously abusive assault on LGBT youth) and as a form of autonomy for assimilationist mutants (thus similar to both abortion rights and transgender therapy) the movie has it two incompatible ways. The cure is bad, imposed involuntarily by reactionary forces and insensitive parents, and the cure is good, chosen voluntarily by some mutants as an expression of personal identity. Both these ways implicitly endorse the trope of mutantism as disease, contradicting Storm, who had angrily declared, “They can’t cure us. . . . ‘Cause there’s nothing to cure. Nothing’s wrong with you. Or any of us.” We want to uphold Storm’s declaration of mutant pride, but there is the pathos of Rogue’s decision to “cure” her own power in favor of greater human contact. The X-Men franchises have provided a home for oppressed and mistreated fans for many years. It takes its fictional conflicts from the too-real prejudices and assaults of today’s world, and, in showing the X-Men surviving them without abandoning their principles of tolerance and defense of others, gives hope to those who face non-fictional challenges in their own lives. Similarly, because its struggles are metaphors for prejudice and conflict in the real world, its solutions to them are, maybe unintentionally, proposed solutions to our own problems. Those solutions are not always perfectly worked out, and that can be a source of disappointment. 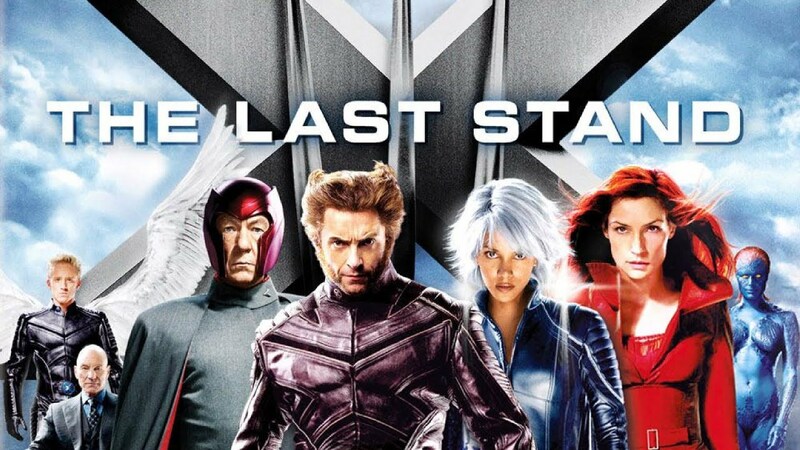 But X-Men: The Last Stand offers far more food for thought, about genetics and genetic technology, personal identity, minority status, and our feelings about all of them, than might be expected.